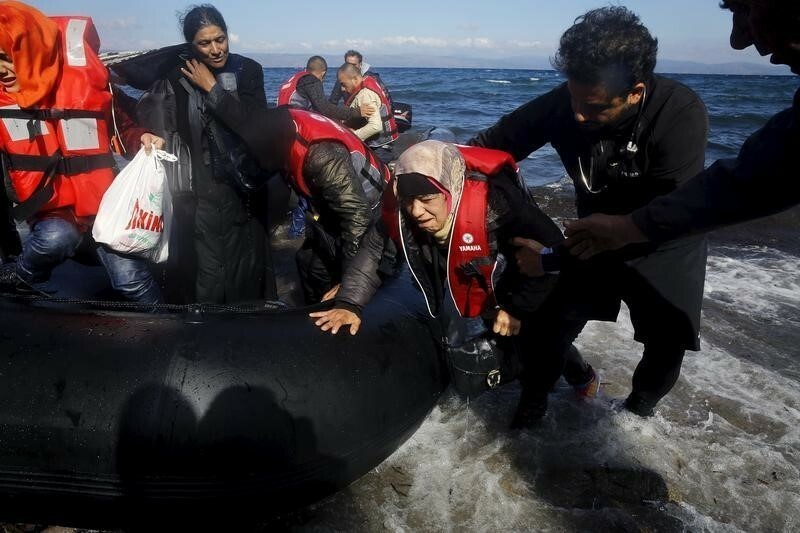 NEW YORK (Thomson Reuters Foundation) – More than one million refugees and migrants braved the seas in 2015 seeking sanctuary in Europe, nearly five times more than in the previous year, the United Nations’ refugee agency said. About half of the 1,000,573 men, women and children who made the perilous journey came from war-torn Syria, while Afghans accounted for roughly a fifth, the United Nations High Commissioner for Refugees agency said in a statement. Most people who took to the water for Europe made their way on the Aegean Sea to Greece’s islands from Turkey, it said. From Greece, many travel to wealthier western Europe. A photograph of a 3-year-old Syrian boy who drowned trying to reach Greece with his family in September appeared around the world, prompting sympathy and outrage over the refugee crisis. Nearly 4,000 people were believed to have drowned before reaching shore, according to UNHCR. Another major route for migrants was the Mediterranean Sea, separating North Africa and the Middle East from Europe, it said. Europe is in the midst of its biggest migration crisis since World War Two, according to the United Nations. The number of people forcibly displaced worldwide is likely to have surpassed 60 million this year, mainly driven by the war in Syria and other long-term conflicts, the United Nations has said. The UNHCR said it tallied the number of migrants traveling by sea to Europe using figures from national authorities. The figure in 2015 represents nearly five times the sea arrivals to Europe in 2014, recorded at roughly 216,000, the UNHCR said. The number highlights the issue of people forced to flee in dangerous ways, said UNHCR spokesman Adrian Edwards. “There are abundant regular, safe and legal means of managing this, and they need serious looking at,” he said. Syria has been ravaged by a nearly five-year-old civil war, which has forced more than four million people to leave the country and killed some 250,000 people. The influx of refugees and migrants has caused tensions across Europe, with some nations toughening border controls.